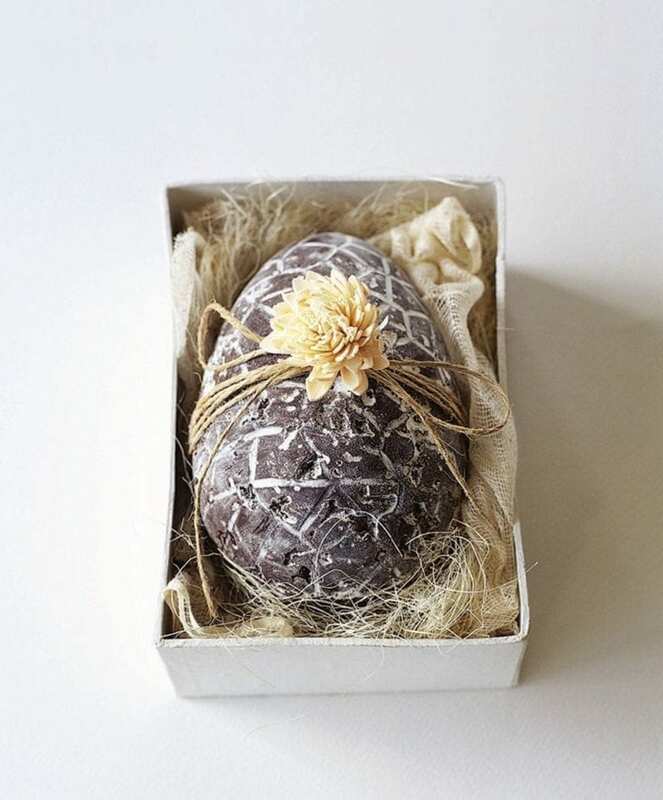 Prepare ahead for Easter and impress everyone with this distinctive home-made chocolate Easter egg. See our tip for details of where to buy egg moulds. Melt the chocolate and butter in a bowl in the microwave for 2 minutes on medium, stirring halfway through. Alternatively, melt in a bowl over a pan of just simmering water. Stir until smooth. Add the nuts, sultanas and biscuits, mixing thoroughly. Chill until the chocolate has thickened but not set, about 5-10 minutes. Take your first mould and spoon half of the chocolate mixture in, pressing it gently – you will find that it sticks to the mould. Make sure that the mixture comes right up to the edges of the mould so that there is a surface to bond the 2 halves together. Repeat with the remaining chocolate and other egg mould. Chill for a few hours, until hard. With the egg halves face down, remove the chocolate from the moulds. Melt some extra chocolate, brush onto the flat edge of each egg half and press together. Allow to set. Dust with icing sugar, rubbing it into the lines. Decorate with string and paper flowers, and present in a gift box or keep in an airtight box in a cool, dry place for up to 10 days.